Vancore Jones, a successful local campaign consultant and local government vendor, is on record as recruiting a recently filed candidate to run for a city commission seat. 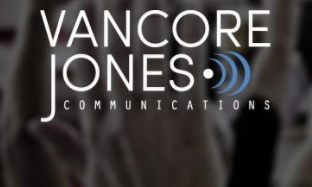 Vancore Jones has contracts to provide public relations services to government entities controlled by both the Leon County Commission and the Tallahassee City Commission. With no incumbents seeking to fill three seats on the Tallahassee City Commission and the District 3 seat on the Leon County Commission, interested parties and candidates continue to search for the formula that will lead to electoral success. One of those interested parties is Vancore Jones. The Tallahassee Democrat reported that recently filed city commission candidate, Lisa Brown, was recruited by Vancore Jones. A review of publicly available information indicates that Vancore-Jones has a significant financial interest in local campaigns. For example, since 2008 campaign records show that Vancore Jones has billed approximately $1.3 million in campaign related expenses to ten local candidates. Four of those candidates (Bryan Desloge, Mary Ann Lindley, Kristin Dozier, & John Dailey) currently serve on the Leon County Commission and two (Nancy Miller & Gil Ziffer) currently serve on the Tallahassee City Commission. That could be the end of the story – a successful campaign consultant wins big with local candidates. Vancore Jones also has an interest in local government contracts and representing parties with financial interests before the government bodies stacked with candidates they helped win. A review of local government contracts shows that the city and county has awarded Vancore Jones approximately $240,000 in contracts since 2016. The work has focused on public relations. Vancore Jones was also paid approximately $112,000 for pubic relation services by a private political committee, Alliance for a Better Community, which raised and spent monies in support of the 2014 Blueprint sales tax extension. The Blueprint tax, which passed, also provided an allocation of about $90.7 million for economic development proposals. Records show that Blueprint – a government organization controlled by elected officials on both the Leon County Commission and the Tallahassee City Commission – has been paying Vancore Jones since mid-2016. The contracts are for various public relations services which include the creation of a marketing strategy for economic development efforts to promote and elevate Tallahassee-Leon County. In addition, Vancore Jones was hired last year by the owner of the Killearn Country Club to help push through a controversial rezoning proposal that was ultimately approved by the full city commission. Tallahassee Reports will be seeking comments from local government candidates about the potential conflicts associated with campaign consultants seeking local government contracts. 7 Responses to "Campaign Consultant, Local Government Vendor Recruits City Commission Candidate"
Any contractor, lobbyist or campaign manager/treasurer for an elected politician should be ineligible for a contract from the government entity overseen by that elected politician. This is how insiders have maintained a death grip on our local government for several decades! 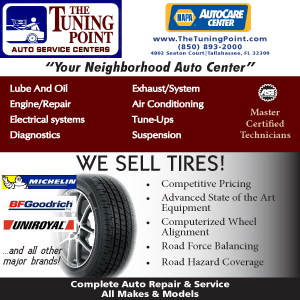 Vancore Jones is probably the most influential special interest group we have operating in Tallahassee. Without question, VJ influences many of the decisions our local politicians make regarding major resources in Leon County. This, in itself, is a problem. They have their eyes focused on the sales tax money for economic development. They control decisions being made in our neighborhoods, yet, not one elected official is willing to admit the depth of VJ’s access. If VJ is running a campaign their opponents should take heed. VJ will do whatever is necessary, regardless of ethics, for their client to win. Again, another example of a serious problem. Much of the work they have done is for the Democratic party candidates, but Bryan Desloge is an example of where they will veer from the traditional path. At the end of the day, VJ is recruiting candidates in order to influence future decisions. Perhaps this article will begin to shed some light on how VJ is the “puppet master” of local government? Crony capitalism by proxy should be punishable by fines and prison. What’s the difference between UF’s football stadium and our City Hall & Leon County Courthouse? Several public relations firms seem to be co mingling with the Chamber of Commerce and elected officials/clients where PR fluff and self serving promotions are being injected into the process and mistaken for expertise, experience, and humanity. Here is a perfect example where Vancore Jones is setting up a candidate and promoting songwriting as qualifications for public leadership. Some PR reps will tout their candidate came from poverty, some will set up free hot dogs at the courthouse, and some will do photo ops at community centers with their candidate talking to children. Fluff pieces that do not give actual credentials and experience. Voters must not be taken in with fluff, but overlook the fluff and look at the credentials and experience. I would ask Vancore’s candidate if the numerous solicitations for insurance Ms. Brown’s credit union sends out – which she manages – is appropriate/legal? The deluge of insurance solicitations sent from the credit union are sent on the credit union letter head and give the credit union as the return address. Does the credit union pay for the mailings at the members expense? Do they adhere to privacy laws when mailing the solicitations to the members? Is Ms. Brown and or credit union board members paid compensations for these mailings? Is this practice approved by the banking and insurance regulators? The insurance promoted to members seems to be low amounts at high rates and one could find better deals on their own. Why is she allowing the promoting of such sub par coverage for members she is supposed to protect? Did the credit union pay for Ms. Brown’s music video at the expense of credit union members? Was the video solely made to promote Ms. Brown for public office at the credit union members expense? Maybe this explains the numerous security breaches this credit union has experienced under Ms. Brown’s guidance as she promotes herself rather than protect the credit union members. We need someone experienced, focused, and genuinely willing to serve the public and not themselves. We have enough of self serving politicians at the moment. Brown has been mentioned as a possible candidate for local office, and the song and video only raised her profile in an election year featuring three open City Commission seats. But she said in an interview she’s not running for office this year. She also said the song isn’t connected to any political campaign. Is Lisa related to heavy hitting Brown & Brown Insurance? This is why my Campaign is 85% Funded by myself and 15% Funded by Friends.